The Twister small table, plays with the idea of an optical illusion and perpetual dynamics, expressing deeply the feeling of torsion and continuity. 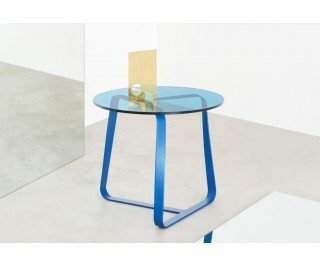 Small table with frame made of steel plate. Toughened glass top mm 10 xed to the frame with stainless steel plates.